By Nancy Young in Blogging. Updated on November 12, 2018 . Being quite a resourceful CMS, Joomla is the go-to option for many who want to develop a comprehensive website or blog. Therefore, like fresh WordPress themes, people are always on the lookout for nice Joomla templates. 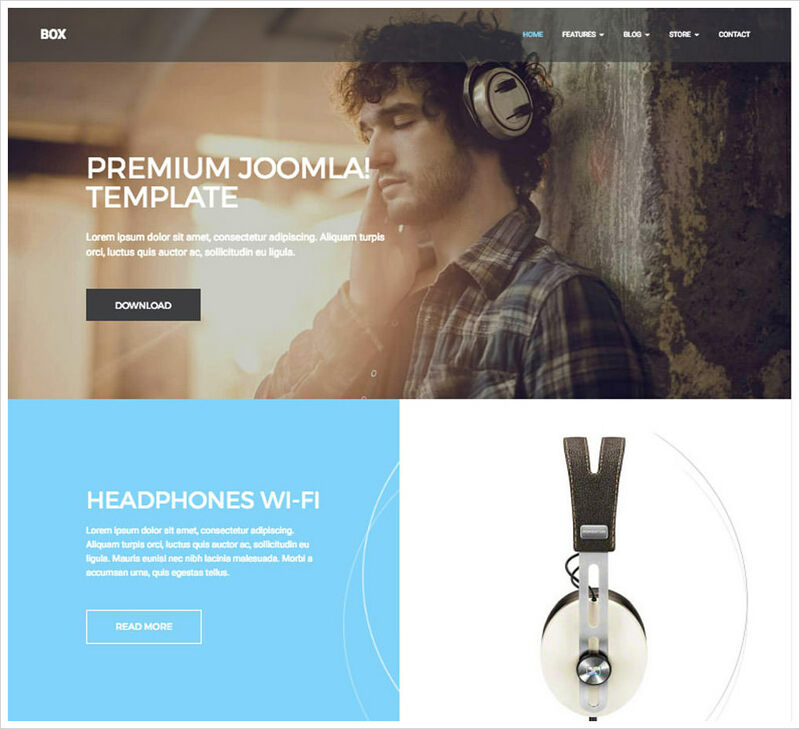 For those who wish to start a website or blog powered by Joomla, here are some beautiful and professional looking Joomla templates. From responsive and colorful to modern and minimal, you’ll find every type of template in this collection. Take a look at the following list to see if you find a Joomla template ideal for your needs. 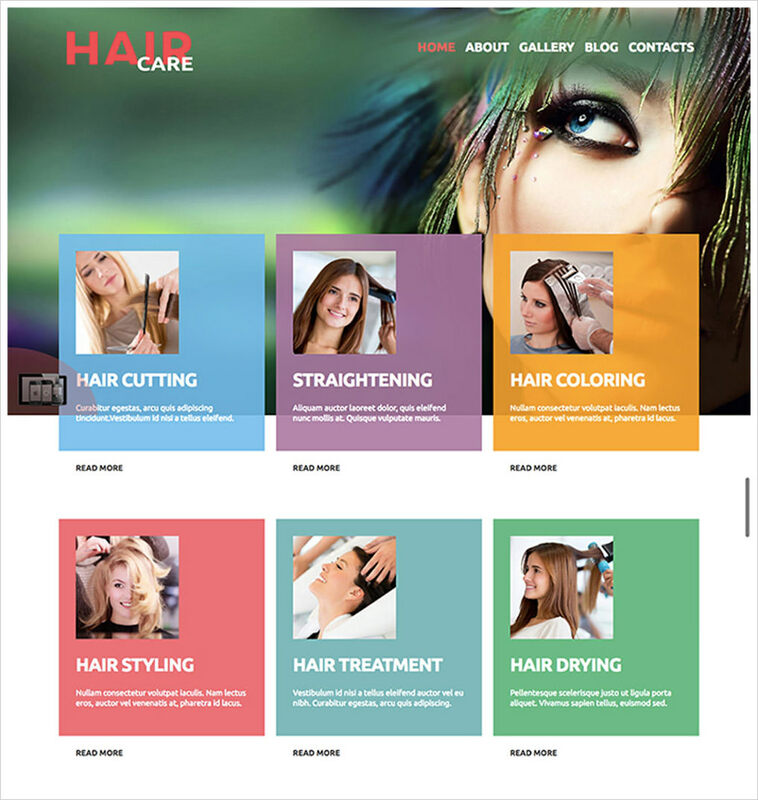 This Joomla template would be a perfect solution for hair and beauty salons. It has a fresh bright and vivid design which will help you stand out from the crowd. This clean Joomla template will fit any portfolio type: design, photography, illustration or any other. It’s easy to install and it has responsive design. 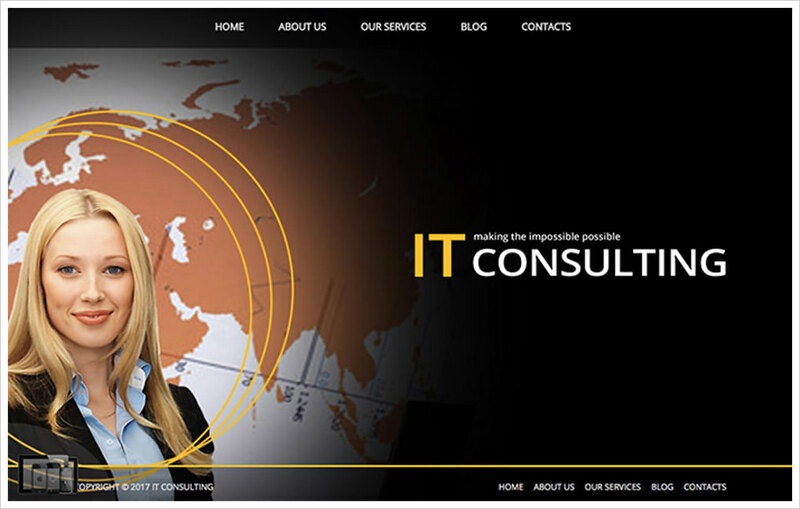 This dark Joomla theme is designed for business of any kind. It has home, about us, services, blog, and contact pages. You can adjust the design to fit your needs. 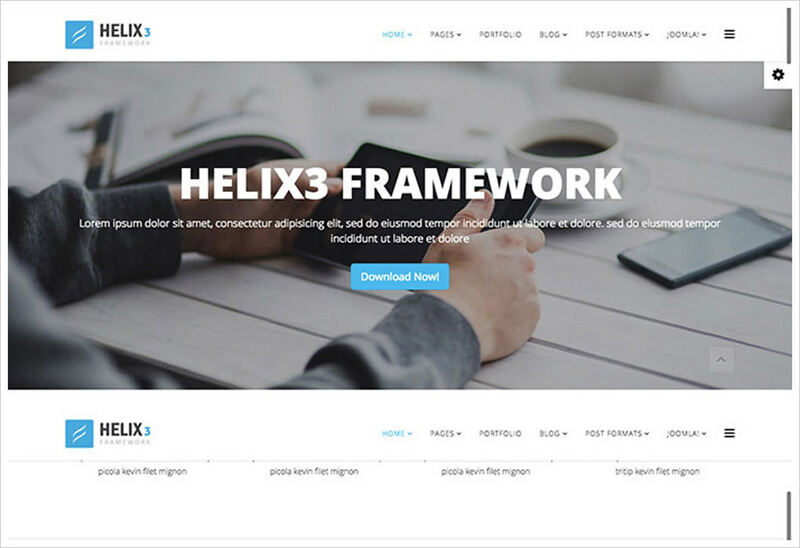 Helix3is modern dynamic user-friendly Joomla template. It has everything you need to create a website with Joomla. It features modern design and advanced editing options. 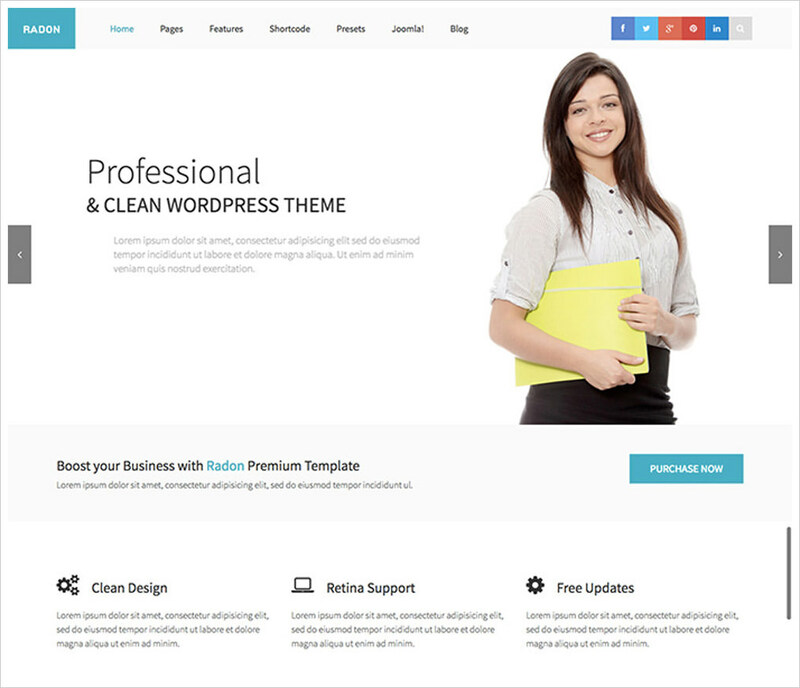 Radon is a modern dynamic clean Joomla theme which could be used for any kind of website. It goes with rich administration features, so you can customize any element of the site. 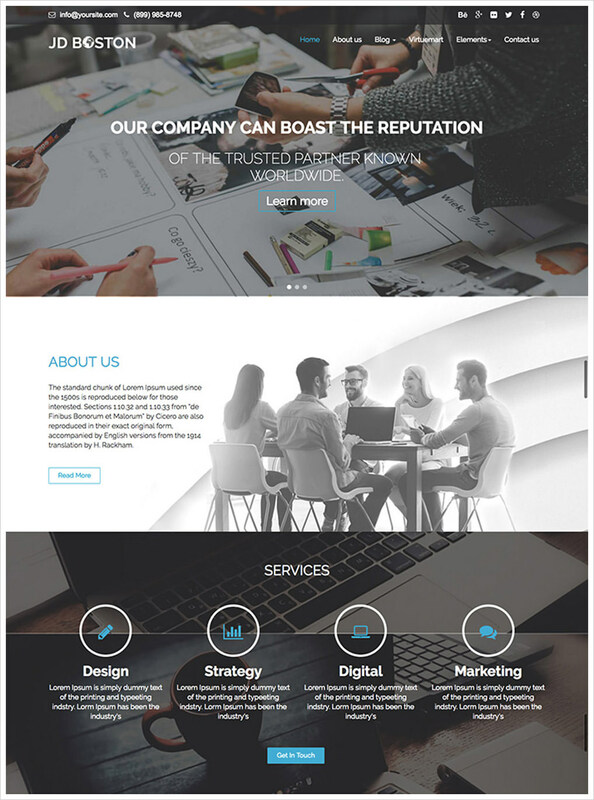 Xeon is a free modern and unique Joomla template with premium quality. It has the following modules: Portfolio, Slideshow, Pricing Table and Client testimonial. You can use it without knowing a line of coding. 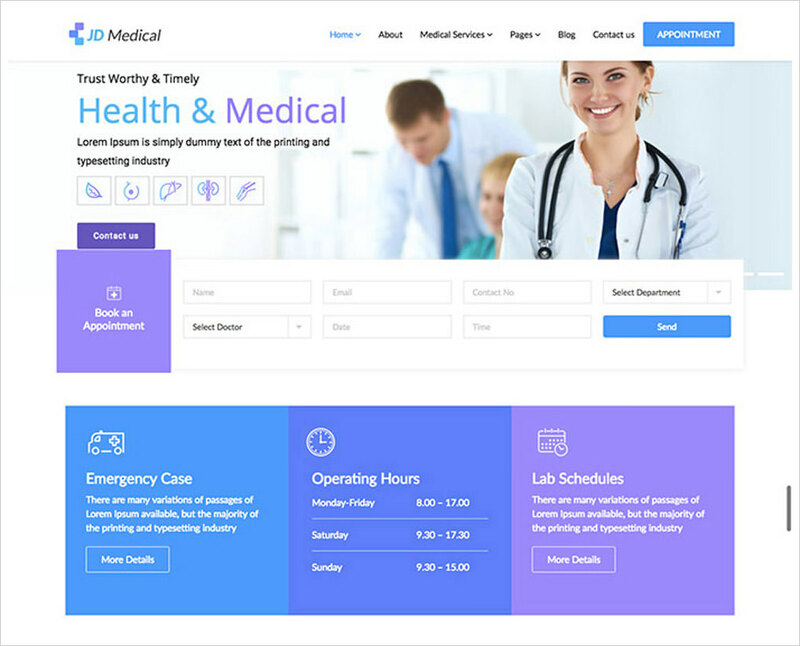 This Joomla template was specifically created for medical organizations, for example, a private hospital or dental clinique. It features white and blue color scheme. And it’s based on the Bootstrap Framework. 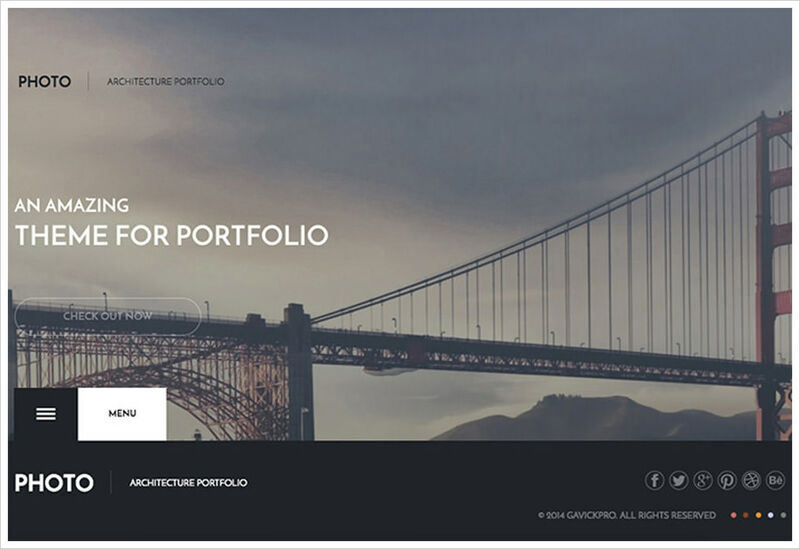 The Ideal is an architecture single-page Joomla theme. It features who we are, portfolio and ‘contact us’ sections. 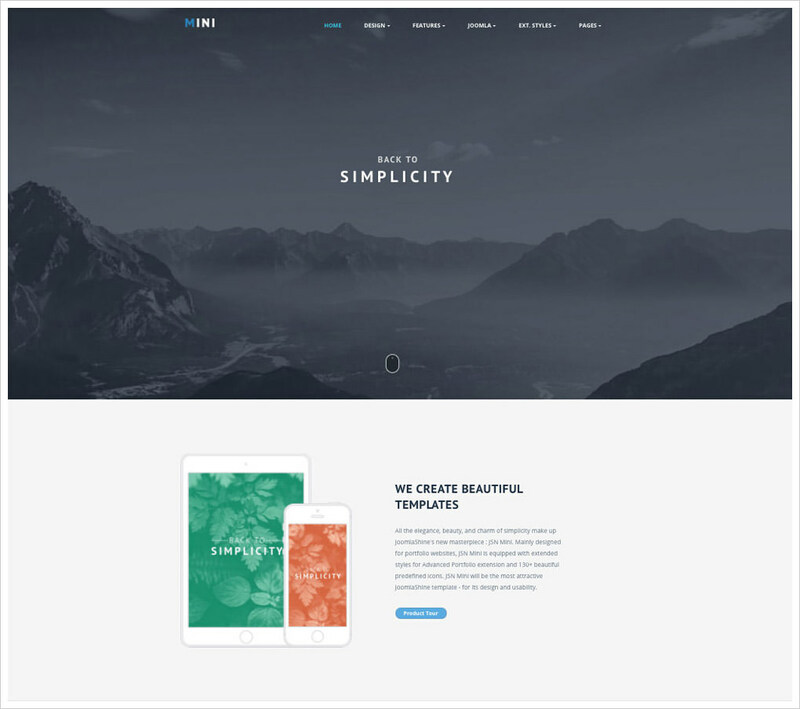 You can present your company with this theme in a modern trendy way. 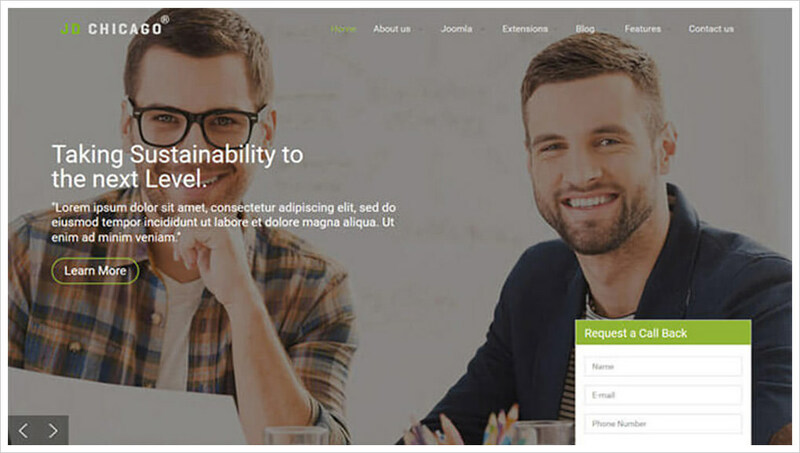 This colorful Joomla template for corporate and business websites of any kind. The design features bright colorful blocks which catch the eye. 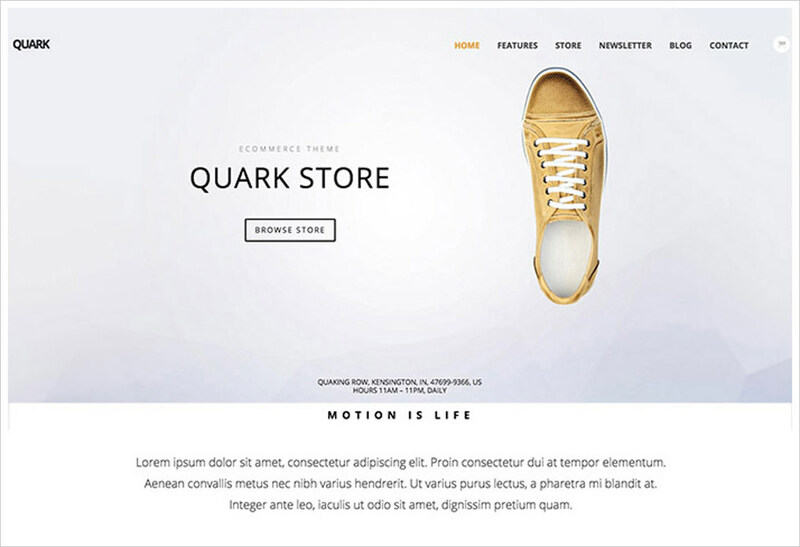 The theme has HTML5 elements, set of CSS components, grid system and more. 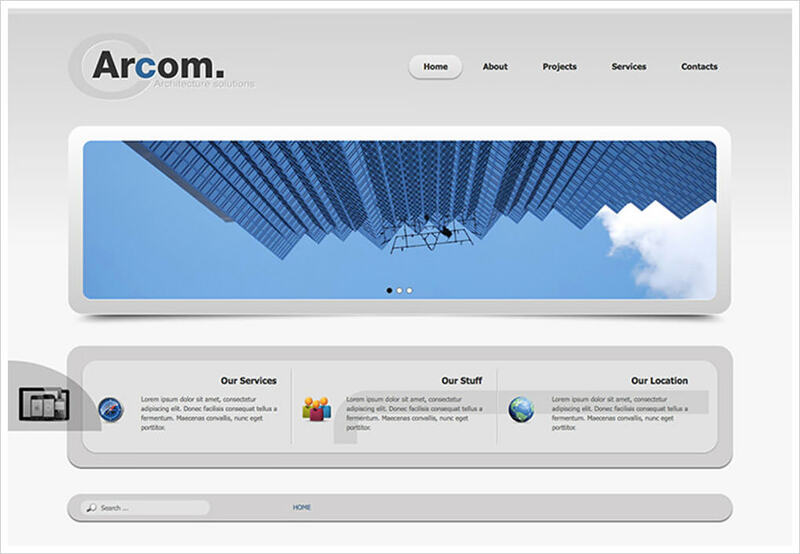 The Arcom is a great one-page Joomla theme for business. It has a fully-responsive mobile-friendly design which will look good on both smartphone screen and desktop. 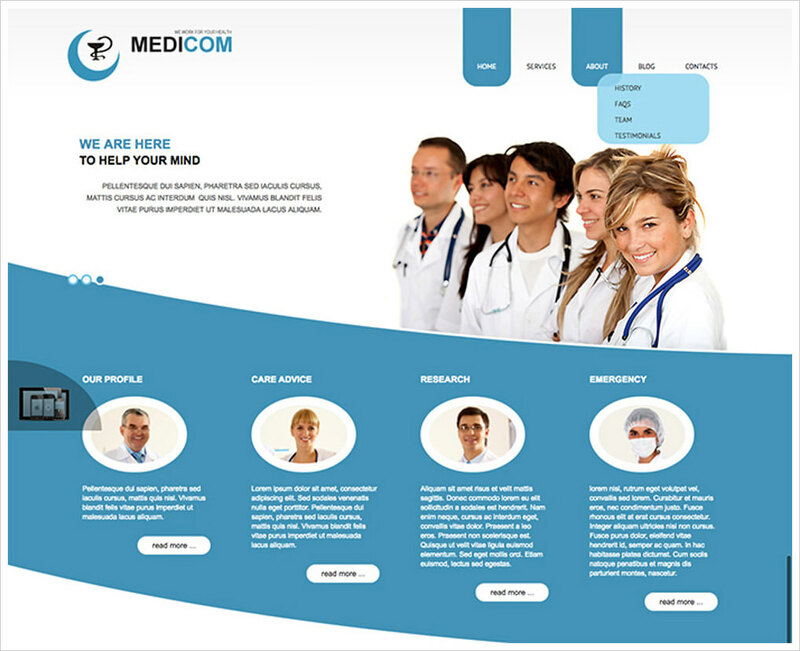 This amazing clean minimalistic Joomla template was created for the medical industry. It has three pre-made color options, boxed layouts, responsive design, and smart slider in the header. 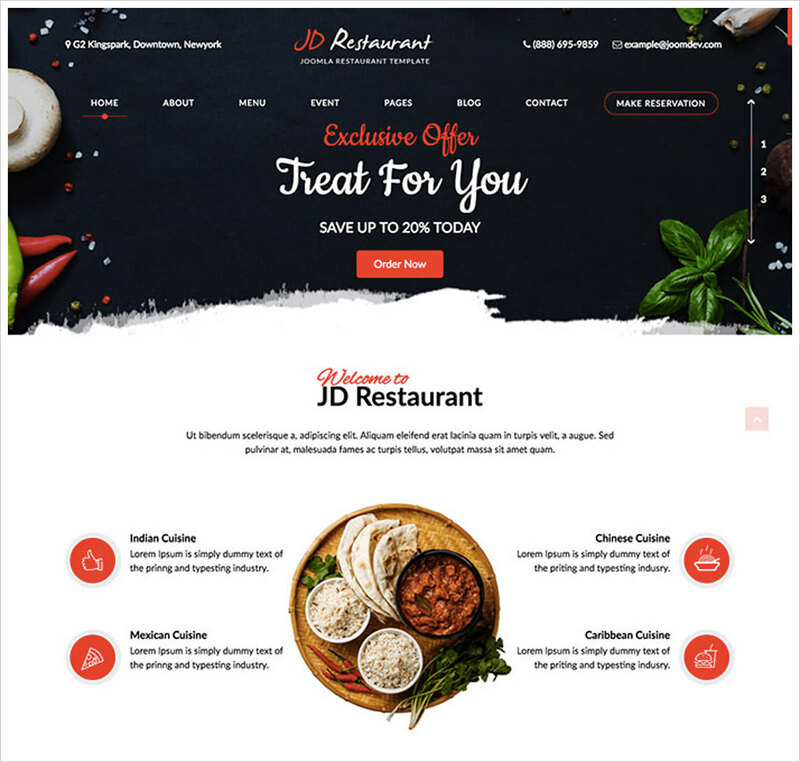 JD Restaurant is an ultra-responsive Joomla website theme specifically designed for cafes and restaurants. 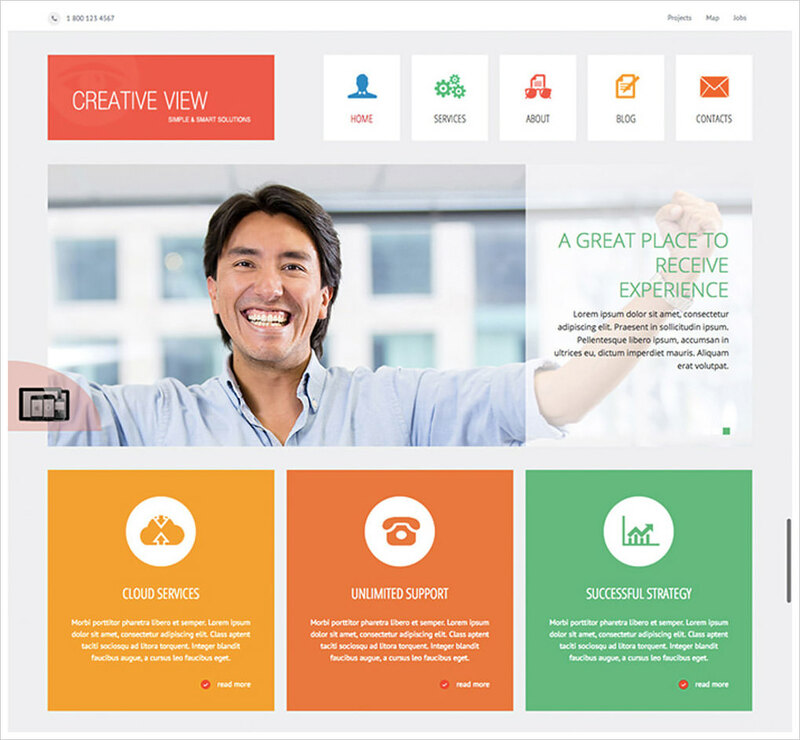 It has 4 pre-defined color options, mega and mobile menu, and contact form. 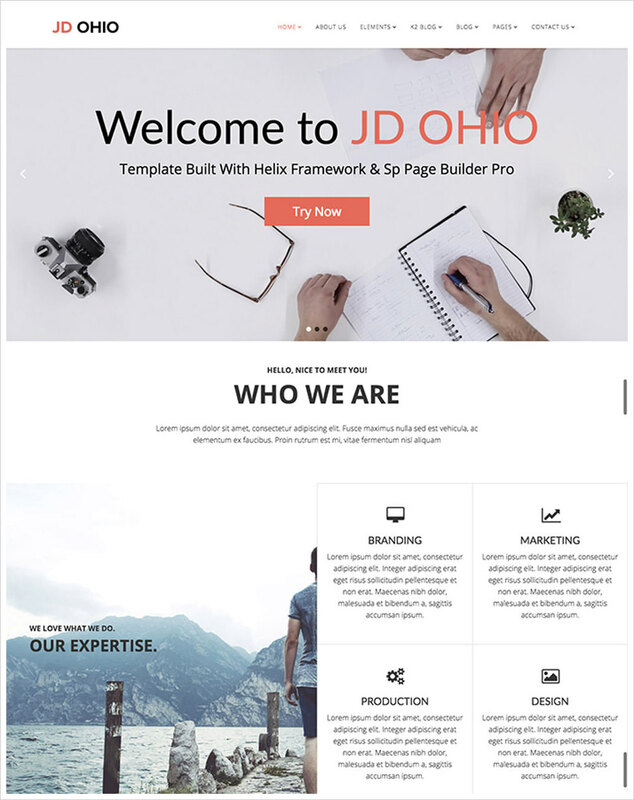 JD Ohio is an amazing one-page business website template for Joomla. 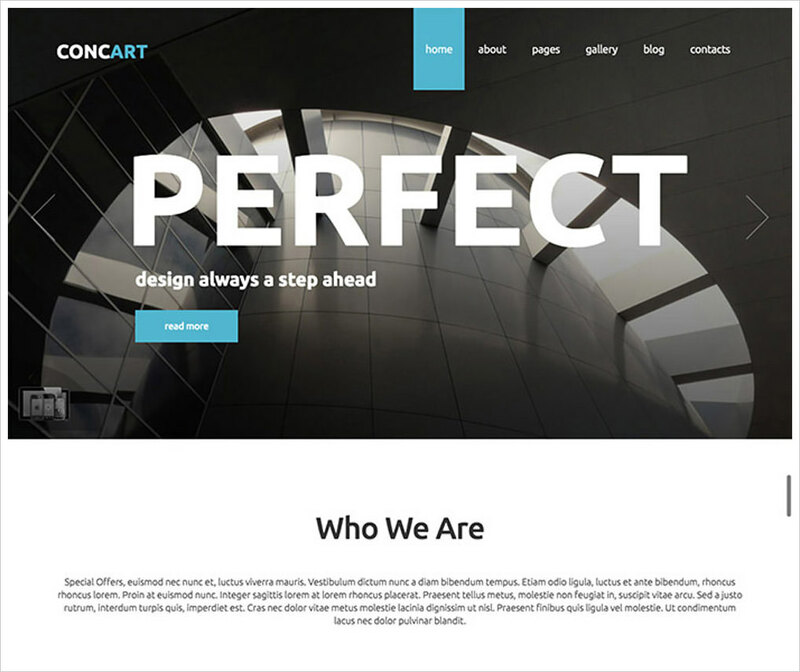 It has a responsive multipurpose layout, easy customization, and creative design. JD Boston is creative feature-rich yet clean Joomla website theme for business purposes. It could be used for agencies, studios, corporate, and business of any kind. Meet Gavern is a free Bootstrap Joomla template with lots of useful features. You can easily adjust the theme to fit your own preferences. JD Chicago is one-page Joomla template with header slider, about us and services pages, gallery and video background. This template is available for both commercial and non-commercial purposes. 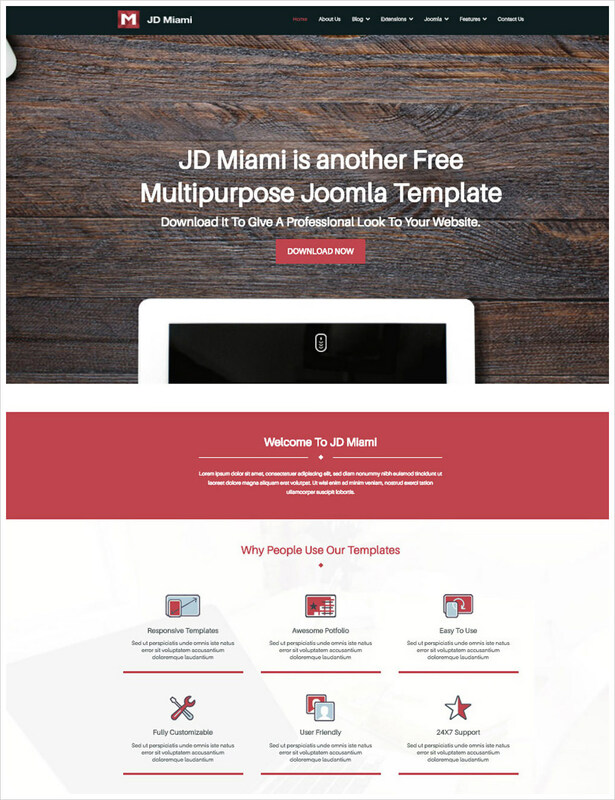 JD Miami is a free modern user-friendly business template for Joomla. 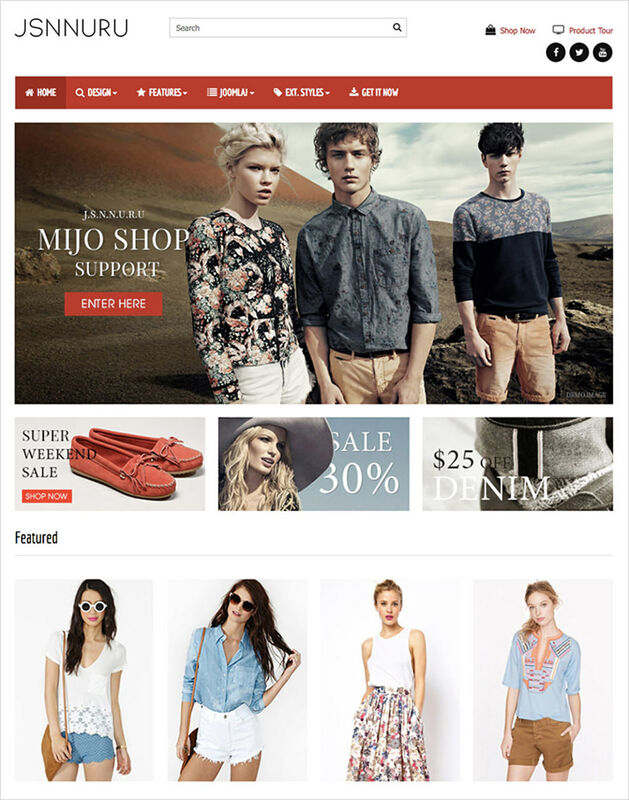 You can use this theme to create website for fashion, business, photo studio, agency, forum or any other type of website. 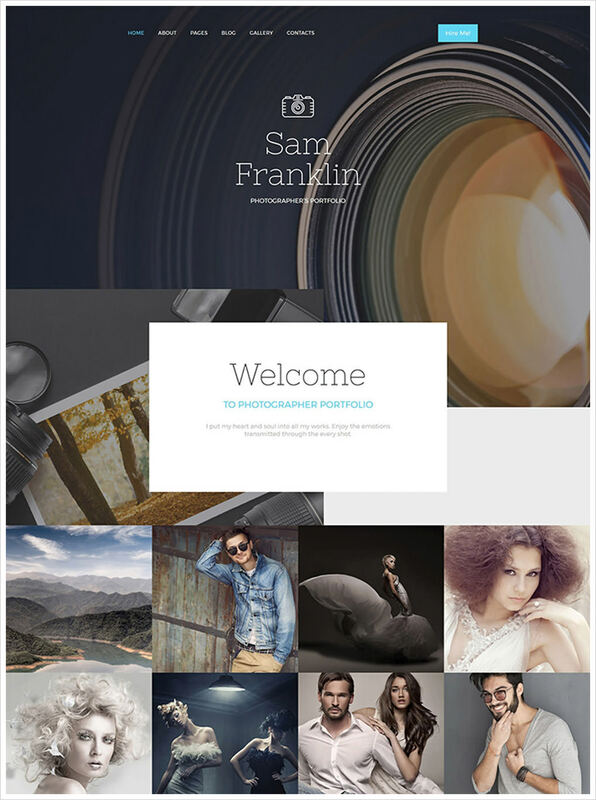 This gorgeous premium Joomla template was specifically created for photographers. It has minimalist design and rich customization options. You can change color palette in just one click. 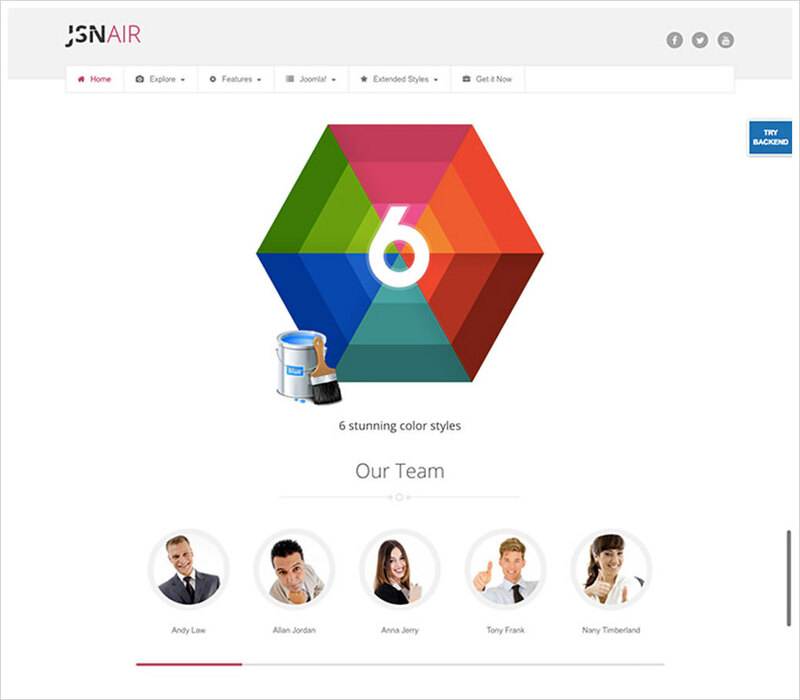 JSN Air 2 is a premium Joomla template for business. You can customize any part of the design with ease using unlimited undo and redo of any action. You can also use over 800 Google fonts for your site. 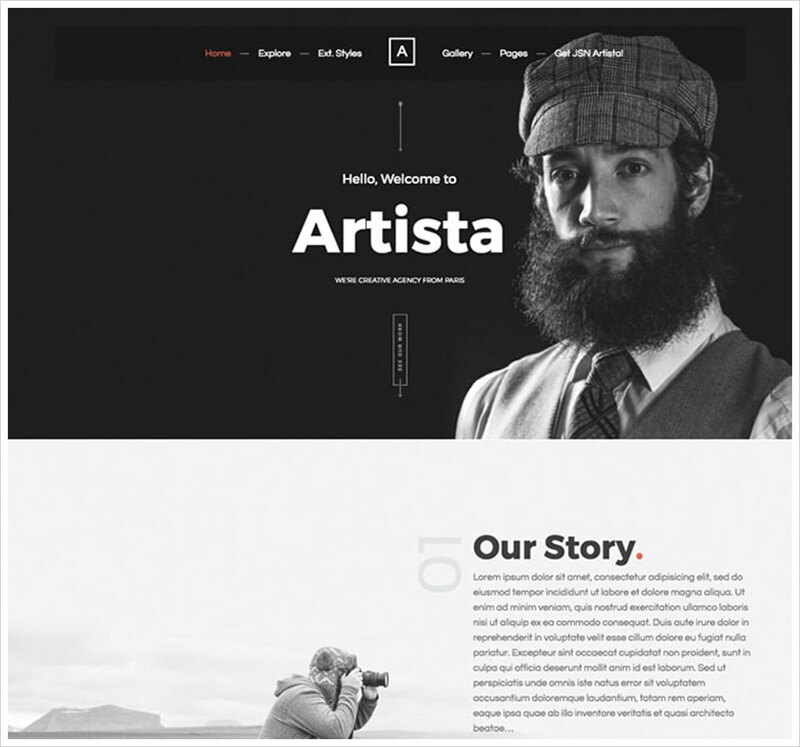 Artista is a creative portfolio Joomla theme crafted for photographers, designers, and other creatives to showcase their work online. With unlimited customization options and high-quality design, you can create a website of your dream fast and easily. 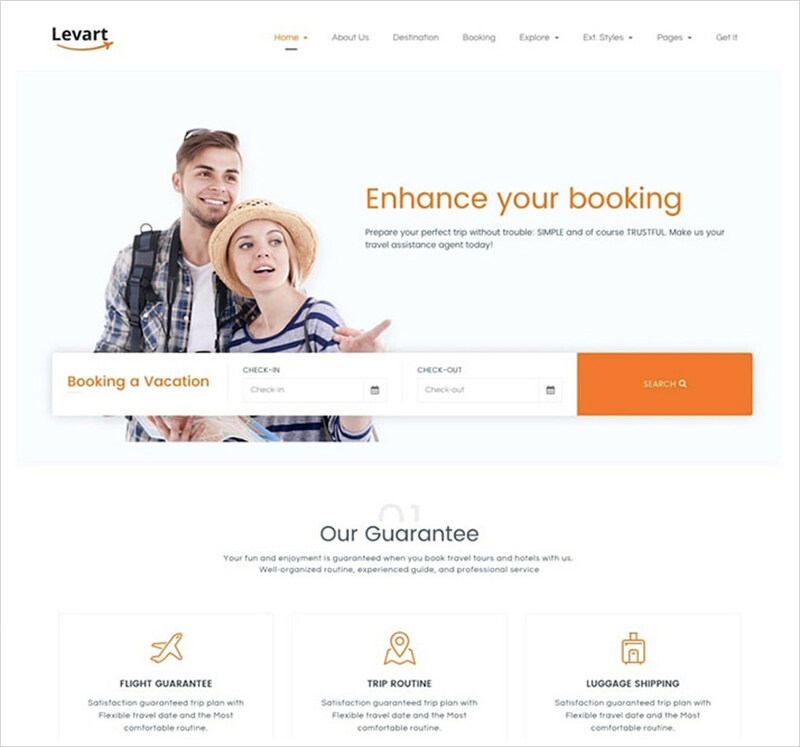 JSN Levart 2 is a modern mobile-ready Joomla theme for travellers, travel agencies, travel companies, hotels, hostels, and airlines. It has gallery, testimonials, unlimited customization features, and mega menu builder. This theme is a perfect combination of modern design, new features, and Joomla functionality. 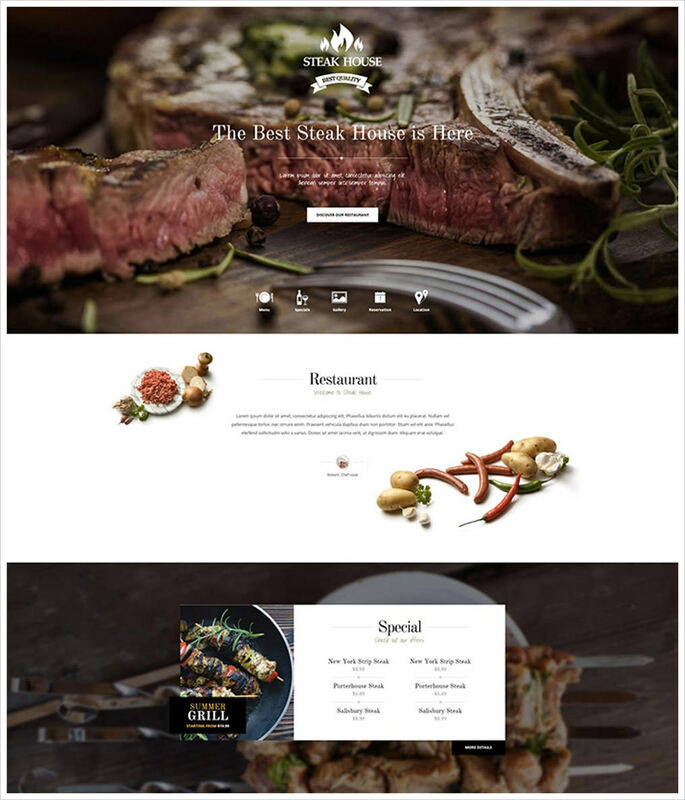 The theme has 3 awesome demos to choose from: default, online store, and restaurant, so you can use the template in accordance with its possibilities. JSN Nuru 2 has everything you need to build a successful online store on Joomla. 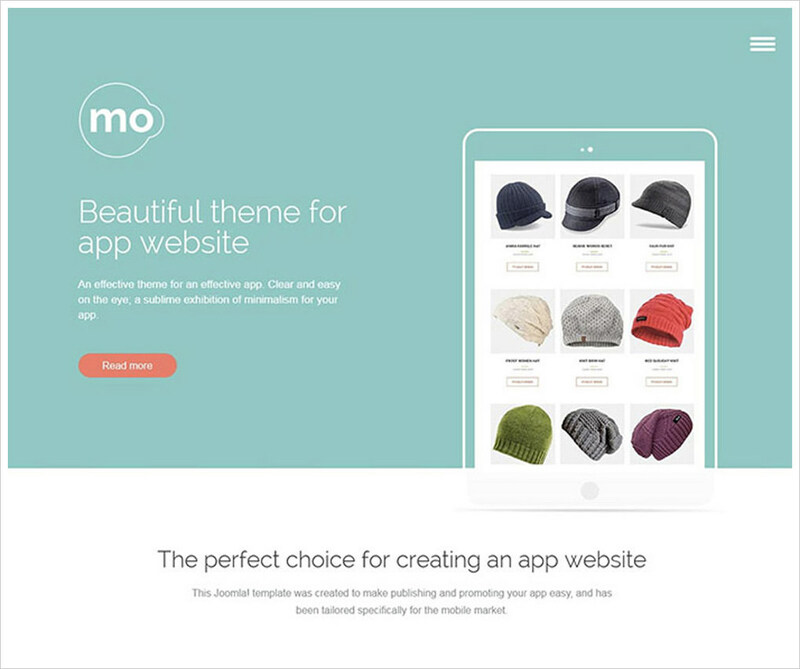 This theme is neat, clean, and modern allowing you to present your product in the best possible way. 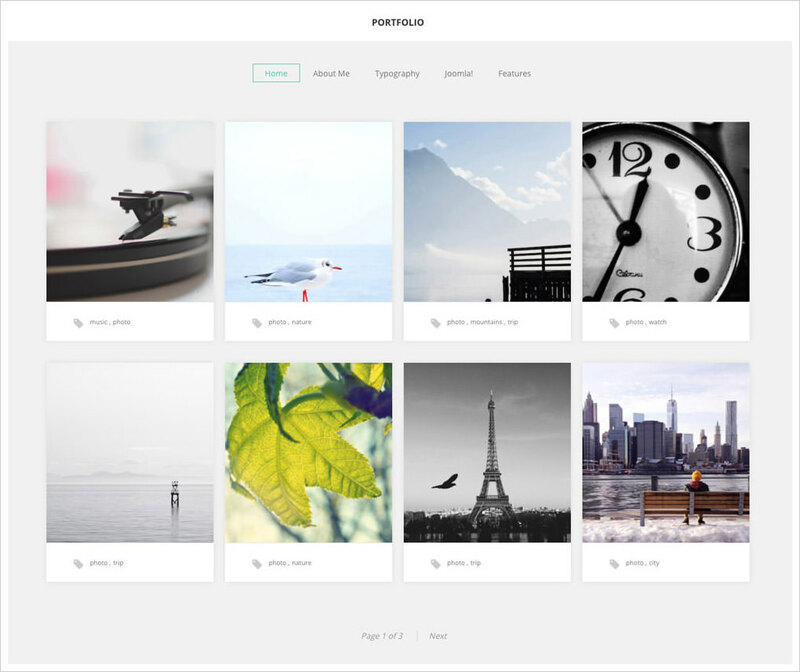 JSN Mini 2 is a beautiful flat portfolio Joomla template with a charm of simplicity. It features a nice header slider, gallery, responsive layout, timeline, and statistics. 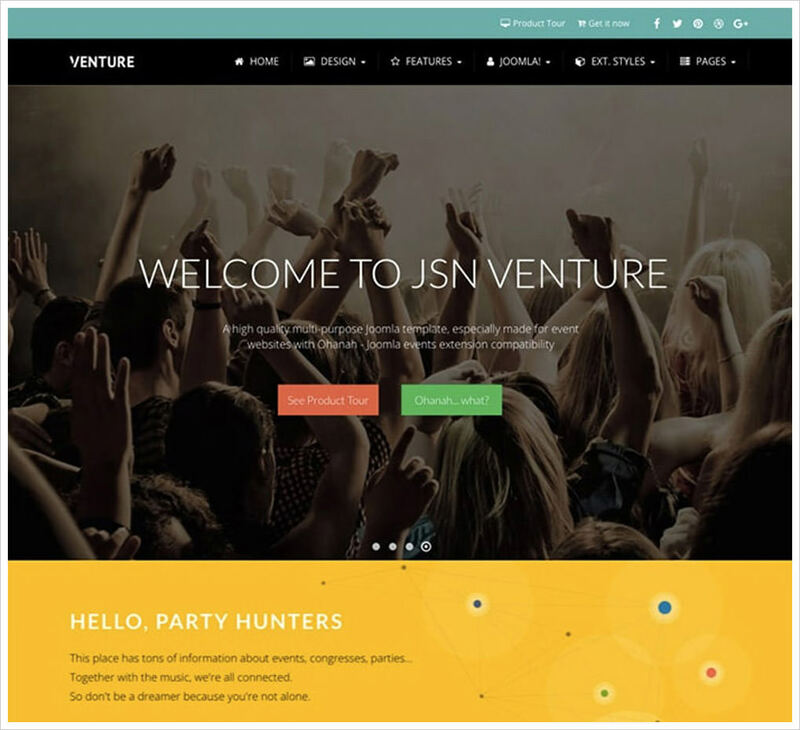 JSN Venture 2 is a dynamic premium Joomla theme for events. It features responsive design which helps your website look good on any screen and device. This gorgeous food Joomla template was designed to bring the ambience of your pub. The heme pack contains everything you need to build a functional high-quality website for your cafe or restaurant. App Joomla Template is a perfect solution for mobile app designers, developers, and owners to build their followers. It has light-weight design, responsive layout, and eye-catching design. This Joomla theme will be a perfect choice for architects, photographers, designers, and other creative professionals to showcase their work online. It has creative menu and two-grid layout. 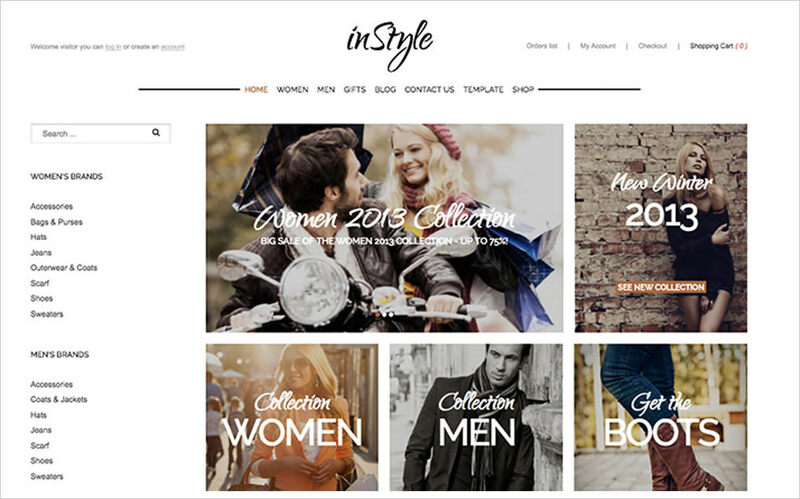 InStyle Joomla theme is a creative solution for online shop. It has responsive layout, so you can be sure your site looks ideal on any screen. 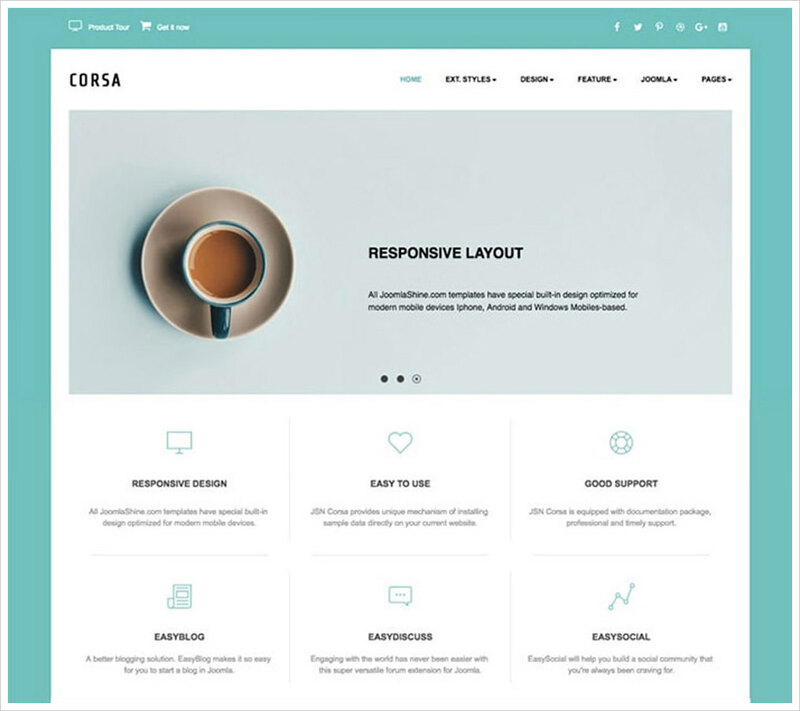 Corsa is a combination of bright colors, beautiful imagery, and creative design. You can easily edit any part of website to fit your needs. 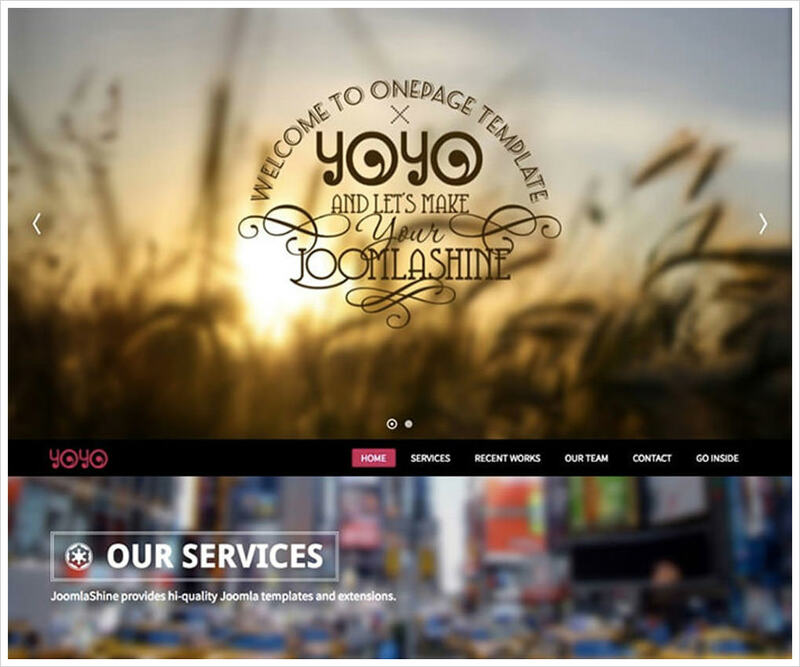 Yoyo is one-page beautiful elegant Joomla template for business. It will be suitable for creative agency, designers, advertisers, illustrators, or any other creative fields. Are you looking for a beautiful portfolio to showcase our photography and bring your name out there? 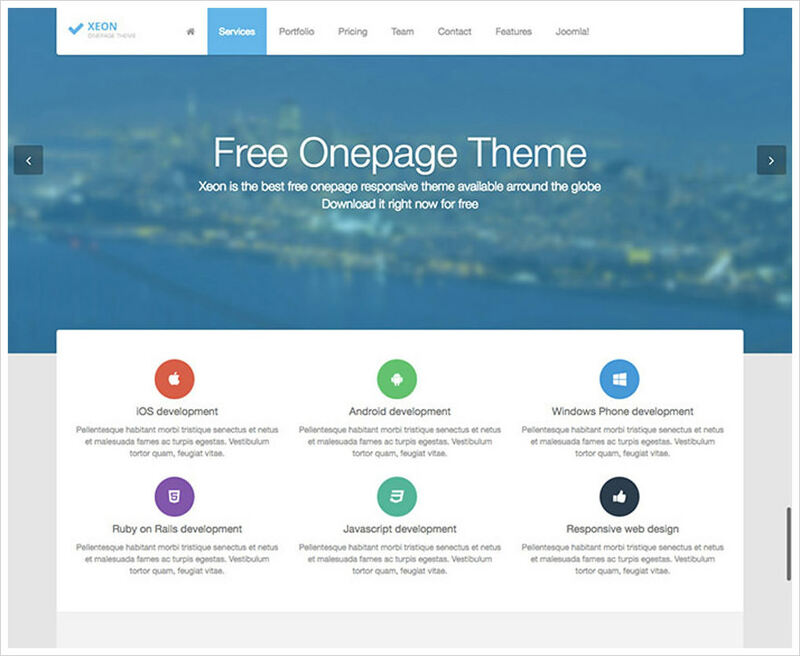 This Joomla template is exactly what you need. It has stunning design, lots of customization options, responsive layout, and rich features.